Kitchen Hood/ chimney is a great way to enrich the kitchen environment. There are basically 2 types of chimney- Ductable chimney and Recyclable chimney. Ductable chimney also called as vented chimneys, channels out the smoke, heat and other impure gases out through a PVC or aluminum pipes. Ductable chimneys are best and preferred for Indian kitchens. Also the performance of ductable chimneys is much better than recyclable ones. Before buying ductable chimneys, home owners shall take care of few important details like space availability, ducting length, diameter, bends, etc. for better and long lasting performance. Duct Space Availability – Before buying kitchen hood, home owner shall find out if there is space or any kind of provision given/available to install a ductable chimney. A hole, slightly bigger than 6” is required for ducting purpose. If at all this is not done, home owners can request dealers to get the breaking and brick word done as required. This work would be an added cost for home owners wanting to install ductable chimneys. Size of Duct Pipe – Usually 6 feet pipe is given along with the chimney. If the duct hole is more in length than 6 feet, than an additional pipe can be bought and fixed. A 10 feet height for ducts is usually recommended for Indian kitchens. You may happen to find ducts of 13 feet-15 feet in Indian home, which I wouldn’t suggest home owners to have. But a minimum of 6 feet to 8 feet height of duct is necessary to maintain the productivity of chimney. Bends in Duct – The duct installed shall have least number of bends from chimney to the duct hole. More the number of bends, the efficiency of the chimney reduces and the noise level increases. The rule of thumb here is to have as much as only 3 bends in duct. (Here we talking about 90 degree bends). A good dealer will never recommend more than 3 bends for ducts. If there are bends at 45 degree than 1 or 2 additional bends. Few companies like SIMENS (a German company) notify home owners for having only 2 bends (that is if required) in ducts. A third bend is prohibited to make sure the performance is reached. But with advanced technology, few companies have introduced “Flexible ducts” concept. The standard length of duct is 3 meters in with 3”-18” in diameter. This flexible duct pipe comes in 1 meter which is stretched to 3 meter, is highly resistant to corrosion can easily to install. 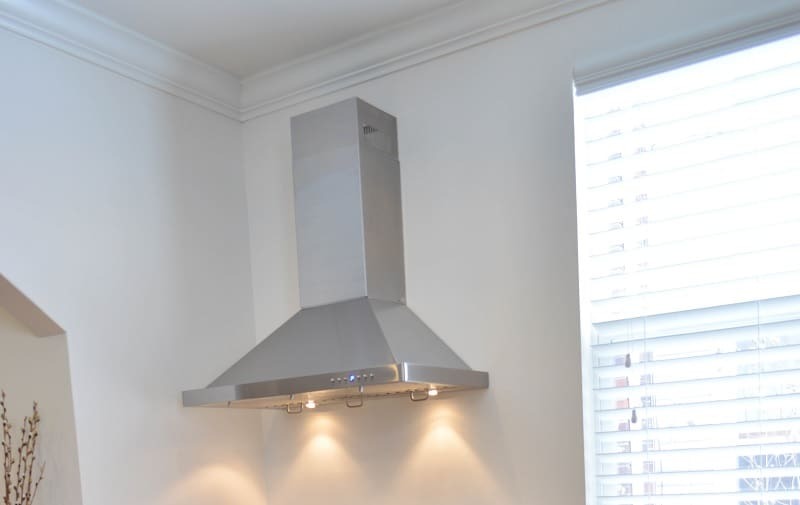 But I suggest you to check other technical features of Kitchen Chimneys with Flexible duct before buying to ensure it suits your kitchen requirements. For Commercial Kitchens, you need to buy heavy duty chimneys. Please check local market price for branded & non branded ones. Sir, I bought a hindware auto clean 1200 Cfm chimney with baffle filter. Should I use pvc exhaust pipe for long lasting or should I go with ordinary exhaust pipe as provided by company in the box. Please suggest which one I go for in long run. excellent service..really helped me decide about the chimney. Hi, Thanks for sharing this informative article. I am planning to install a chimney in my kitchen. My chimney ducting pipe length comes to around 21 feet and will have atleast 3 (may be 4) bends. In your expert opinion should I go for ductable chimney or not given the specifications and constraints above? What suction capacity and brand of chimney should I buy? Useful article. Thanks. Two questions: Will a chimney with a CFM capacity of 1500 work effectively with a ducting pipe of 4″ diameter? And is it necessary to break the wall for the ducting? Why not fit the ducting pipe on the surface of the wall? Will appreciate your insights on the queries. Deepak ji, regarding capacity, there are other factors that factor – length of the duct, any bends in the duct. 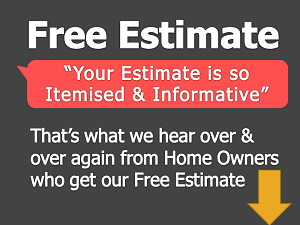 Chimney Company representatives are suppose to inspect site & tell you accurate answer. I do not correctly understand your second question. Chimney is more effective if duct length is smaller i.e chimney has to as little work as possible. Nearest wall in which you can make cut & allow duct to pass, so tht fumes & exhaust is thrown out. For kitchen chimney of 800-1000 CFM to be installed in kitchen , a duct pipe of 4 ” diameter will be ok ? Most homes end up using duct of 4″ to 6″ . Here’s the thing – how many bends are in the duct way, how long is the duct, all these things matter. You may end up using duct of any size, but only company expert or your kitchen designer can tell you if its been designed efficiently. If not done correctly, chimney may not work as efficiently as it can. Many a times, chimney makes extra noise, just because ducting was not done correctly. I am making your situation tough, but all I am trying to say is, verify it with expert. Make someone actually check your design before going ahead. Hi.. I want to install a kitchen chimney but we need a long pipe (16 to 18 ft) and two bends . We were suggested a 1400 suction capacity chimney due to pipe length. Is this suggestion wise. Can u suggest if we can have some lower capacity chimney too. Shubhadeep ji, this sounds like unique/complex situation. You will have to talk to local Kitchen/Chimney expert. 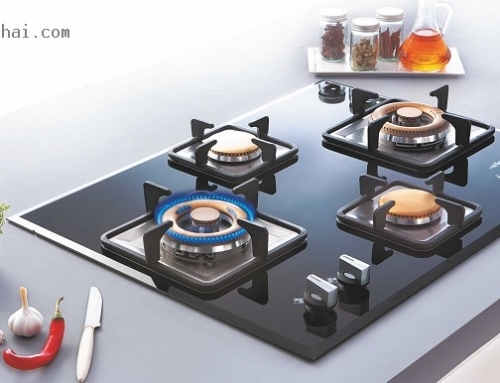 Honestly, we are not sure if lower capacity chimney will do the job, also there are several other factors like kitchen design, kitchen usage, etc. Madhu ji, please check which company/brand gives good warranty & service in your area. Also before mkaing decision make sure your kitchen designer or chimney company representative has seen your kitchen & given YES for chimney model. Take pictures & dimensions of your kitchen to chimney shop. what is constructional differance between recyclable & ductable chimaney ? is activated charcoal disc provided in both cases ? plz. mail if possible . ductable chimneys are suppose to route air out through duct, whereas recyclable filters air & keeps it inside room. charcoal filters & similar other filters are more common with recylable one. 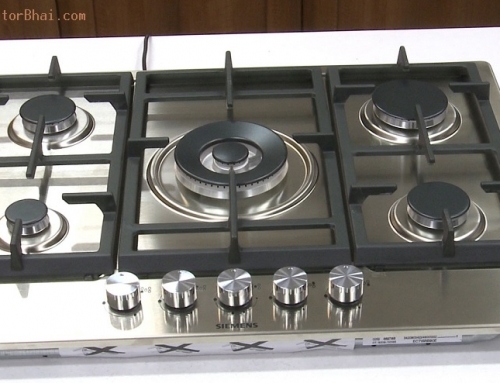 Tiwari ji, you need to talk to manufacturer or nearby kitchen designer. Connecting ducts of different size is done at many site, but you need to check it with manufacturer. I am looking for 6 inch flexible aluminum/ stainless steel chimney pipe in Pune, so could you please tell me form where I can et this ? depends on lot of other factors – like capacity, if there are any turns & how long is duct – pls confirm it with brand/manufacturer or shop where you purchased. Is ductable or non ductable more effective? As I am confused because i don’t know that after suction of hot air where does the air go as it has no outlet to go out and will that make my kitchen feel more hotter. I am looking to install a chimney for my new house kitchen. The builder has already given the exhaust hole (Size 1’5″ * 1’5″). Will that be utilized while installing the chimney exhaust pipe? Please advise. pls whatapps picture to 9920620009, I will have one designer check it. Our flat is 2 bhk only. We have L shaped platform in kitchen and stove is at a side and too far from the outer wall/ window. We want to go for ductless chimney. Please advise what suction power and which model of which brand would be good for us. We are 99% vegetarian only. sir, never make suction power & other specification decision on basis of reading some article. Please visit nearest store. If you are in mumbai, goto Murugan shop opposite Andheri station west. Talk to shop person, select model then invite representative from company and fix it. Company representative will charge meeting/installation fees. Before you go to shop, click pictures of your kitchen and also take some basic measurements with you. I have heard horrible experiences of people who bought chimneys online and then have no idea how to proceed. I run an online company but , unfortunately, I am not encouraging chimney buying online. 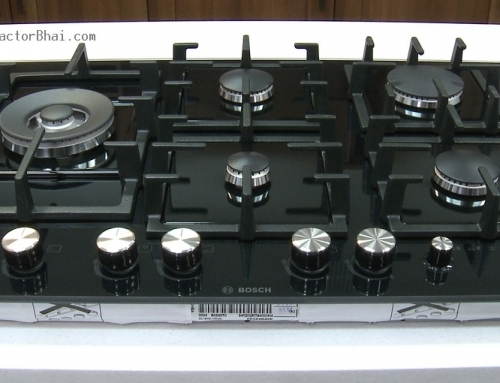 Also chimney/gas stove/hob dont try to cut short on budget. Buy good ones. They will last for 15 years or more , also make sure you get service from local team of the brand. Possible to reduce of ventilating duct size of kitchen chimney ? I have 4.5 inch vent hole.. Length of duct is not more than 3 feet..any company chimney is fexiable or I have to choose from some..
Dear Mr. Nitin, Need chimney solution / recommendations for the duct length 24 foot from stove to outside with 2 bends to my kitchen. Thanks to recommend if any standard chimney available in the market/ need to be designed exclusively for this requirement. I have taken Chimney and i want it to be with duct but company person told that duct would have 4 bends and it could be extended to 20 ft. So for one year we go with recyclable option. But we want ductable. Please Suggest. I am not sure if I have understood your query correctly. If your chimney is with duct, there is no way you can use it in present circumstances. You have to replace it with recyclable chimney. Both chimneys are made separately. You cannot use one instead of other. They have completely different mechanism. Company experts about 20 ft & 4 bends are right, it will not have lot of suction power. Hi, Can you suggest if the hole for outlet of chimney should be preferable in wall or Window will do? My concern if it makes difference or not in sound!! Can you also please tell what should be the diameter of the outlet pipe? I need to understand correlation of chimney to exhaust pipe. If I have chimney installed at ground floor and I need to take exhaust pipe as high as to roof of the second floor (as I dont have any other option), will it performance be affected ? Or should I opt for ductless chimney ? Sir, you need to check with Chimney manufacturer. Our guess is it will not work very efficiently. Domestic chimneys are not meant for such design/functionality. Is it necessary for a chimney pipe to be fixed high along the walll before the first bend,which takes it outside the building? The company executive suggested to take up the pipe high along tthe wall before taking it out of the room, to stop it from backthrowing is this necessary? Company executives have more experience then anyone else. I would listen what they are suggesting. Hi, can you please suggest where I can purchase 6 inches aluminium/PVC duct pipe in Pune? Your suggestions are really helpful for the visitors of this website. Keep up the good work. Thanks in advance. PVC pipes should be available in any bathroom fitting shop. I wanted to have a piece of info.I have purchased an island chimney . My duct outlet is a little high up near the ceiling. So the dic pipe is visible and is not giving a neat look to my kitchen . So I wanted to buy an external chimney pipe ( square one) so as to hide the duct pipe inside it.please suggest . paneling can be done using bison board or plywood to cover duct pipes. I want to buy a sound less chimney from elica. I have 4” straightpipe installed internally in the wall which gets open at roof of 2nd floor. So ducting height roughly calculated to 30 feet at max. What do suggest w.r.t height and suction power. My question is almost same as of Amit, I need to install a pipe for chimney in an under construction kitchen where I am given two options, one to take the pipe straight on the third floor (at the hight of 30′-31′ only with one or no bend) or to take it to the open stairs area through the wall with one or two bends ( almost 7′ – 8’long pipe).. please suggest what should we opt? Another factor that you have to keep in mind is ease of maintenance. 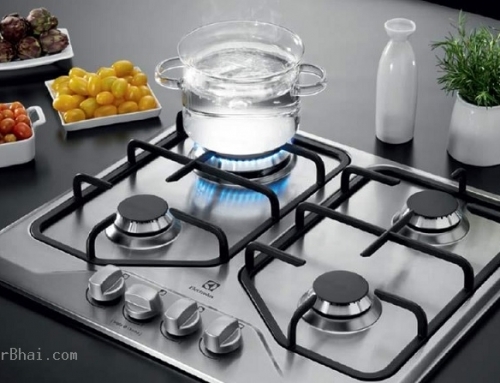 I am unable to pinpoint exact solution, I can only share factor that you should consider while making decision with your kitchen designer/contractor. I have a duct length of 17 feet with 4 bends. can you advise me the least suction I should go for? Is ,1100 cubicmeter Suction power ,sufficient for 18 ft long ductpipe with 2 90degree band in a 80 sq ft vegetarian kitchen. Thanks for your article. It helped. I am looking to buy a chimney for my L shaped kitchen of around 8ft x 8ft. But the outlet is on far end so, the distance of outlet from the stove would be around 11ft with 1 bend. Is it advisable to go for ducted for that long length or would ductless be better? What are maintenance costs for ducted and ductless chimneys? Do we need to call technicians for maintenance? Most chimney brands send a Expert/Technician for installation, unfortunately they will visit site only after you have made purchase. Try to find out if you can request them to visit site before deciding which chimney to buy, there will be visit charge but it will be worth it. If you do not have any expert to help you in buying decision buy it from some local shop, shopkeeper will help you make right decision. I want to install an electric chimney in my kitchen . I have a slab ( not main roof slab) nearly 4 feet above stove . outer wall is less than 6 feet from stove position .My stove position is in front of windows . what type of chimney ( preferably FABER Brand) is recommended to have less obstruction to my windows with best suction power ? Please suggest what should I do as in my commercial kitchen, hoods with exhaust fans are not working. The ducts are quite long and have bends as well. The contractor has changed the ducts design twice but still not working well. 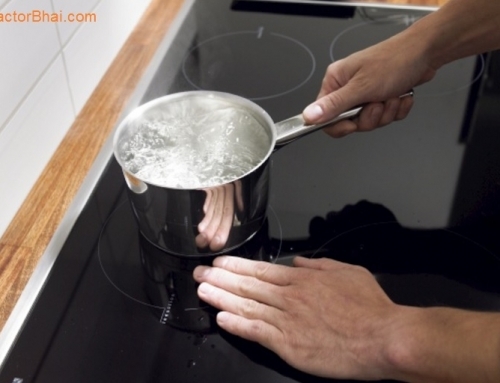 unable to give much info on such complex scenario, your local contractpr/kitchen expert can help you solve problem.